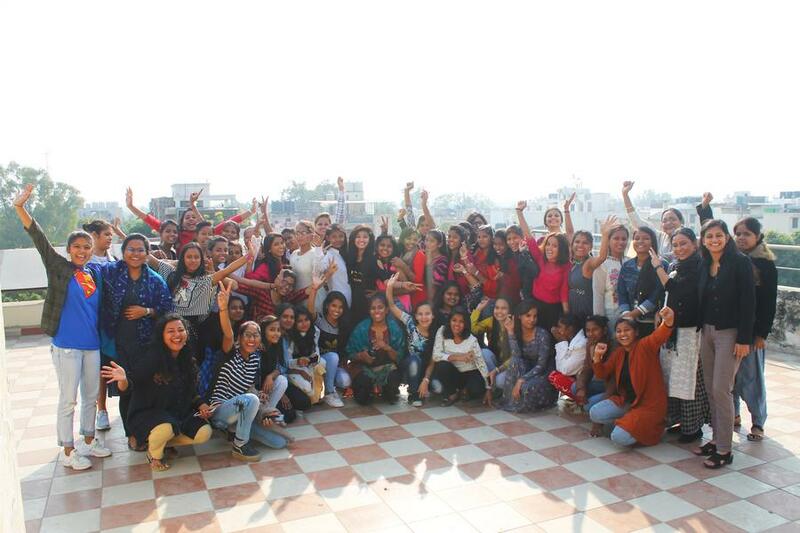 Chapter 2 of the Adolescent Girls Learning Community in Delhi began last week with a three-day training for this year’s mentors and girl leaders. 45 enthusiastic girl leaders representing Swechha, Joint Operation for Social Help (JOSH), Chintan Environmental Research and Action Group, Feminist Approach to Technology (FAT) and The YP Foundation attended the training along with their mentors who were also given a comprehensive overview of the Learning Community and its plans for the year. The purpose of this training was to orient the girl leaders on critical concepts of patriarchy, identity and stereotypes, and introduce them to community engagement, cyber security and the different vehicles for communicating as one entity. The girls were actively engaged in the process through personal storytelling and sharing of experiences closely tied to the areas of focus. The girls spent two days together that provided them the perfect environment to get to know each other, forge new friendships and understand the true meaning of a community based upon the common interests of its members. When the training started, only a few girl leaders volunteered to speak, but as it progressed, more and more voices could be heard. Even though this was only the first in a series of interventions, it has set the tone for the rest of the year. The girls have begun to envision a better future and now believe in their own power to shape it!